The chairman of the Legislature’s interim Water Topics Overview Committee says he has a major concern over the state-versus-local funding split for the planning costs of the Red River Valley Water Supply Project. That project would bring Missouri River Water to the Red River Valley in times of drought. The project’s backers say the planning costs would be 90 percent covered by state dollars, with the remaining 10 percent from local sources – in this case, the Lake Agassiz water board. The St. Paul District Commander for the Army Corps of Engineers says he’s confident federal money will be there for the F-M Area Diversion Project. Col. David Koprowski told the Legislature’s interim Water Topics Overview Committee – the diversion project was one of six new project starts okayed by the Corps. "Giving us one of those six new starts really demonstrates a federal commitment to this project," Koprowski said. "And that's important." 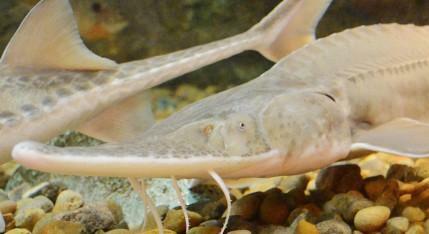 Opening the Yellowstone River for Pallid Sturgeon? Zebra mussels are becoming a problem in the Red River. This spring, for whatever reason, they just went ‘boom,’” State Game and Fish director Terry Steinwand told the interim Water Topics committee. He says it appears the zebra mussels came from Minnesota’s Pelican Lake, through the Otter Tail River. He says the invasive species has been found all the way into Canada. Steinwand says Game and Fish had to adopt an emergency rule to help prevent the spread of the mussels to other bodies of water. The army Corps of Engineers says 2015 was about as close to normal a year in the Missouri River basin – at least in terms of runoff. But how that runoff happened was anything but normal. "It was very dry in the early months of the year," said the Corps' Jody Farhat. "We had low plains and mountain snowpack. But then we had good rains that built up the storage in the reservoirs, and it ended up to be an average year, with good service to all authorized purposes." 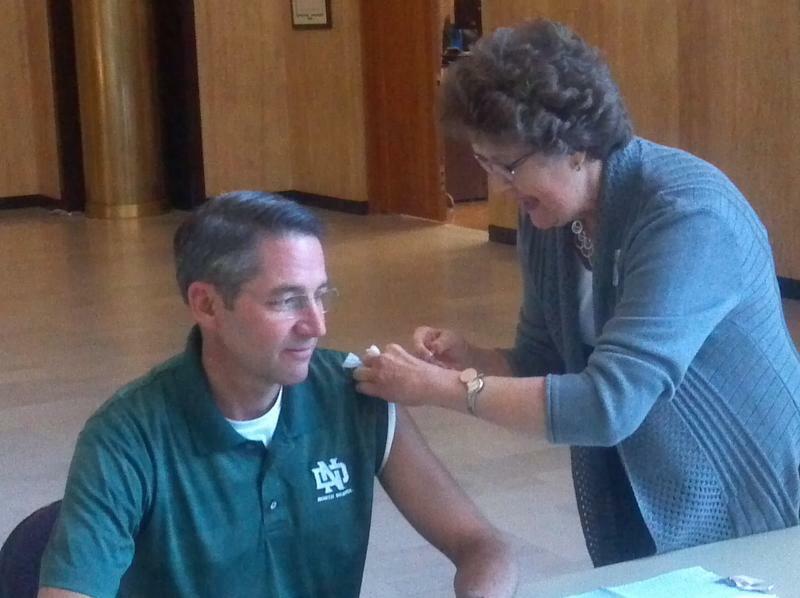 The state Health Department is again urging people to get their flu vaccines. The Department says plenty of vaccine will be available. 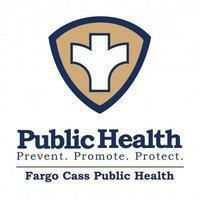 "The last flu season was especially bad," said Health Department epidemiologist Jill Baber. "It had the highest number of reported cases on record -- 6,443 cases. We identified 275 hospitalizations and 54 deaths." Baber says last season’s vaccine didn’t quite match the strains of flu that were circulating – but for people who got it, the vaccination helped keep the seriousness in-check. That's how North Dakota Agriculture Commissioner Doug Goehring describes the fall harvest. "There's some good stuff out there," said Goehring. "Some storms have taken their toll on some crops. But the quality in a lot of the small grains is pretty good." "We've had some tremendous yields in places," said Goehring. "And there are some places that have just been average." Goehring says once row crops start coming in, he thinks that could be a little different. North Dakota agriculture and conservation groups have reached an agreement concerning who will employ farm bill biologists. Those biologists will work with farmers on voluntary conservation programs. Farm groups raised some concerns – because the Natural Resources Conservation Service had not only employed biologists from Ducks Unlimited and Pheasants Forever to handle those programs – they were housed at NRCS offices. Now, the agreement means the North Dakota Association of Soil Conservation Districts will house the farm bill biologists.